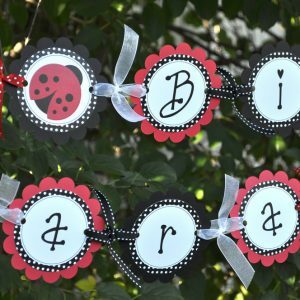 Celebrate your little boy’s birthday party with this cute puppy dog, polka dot banner. 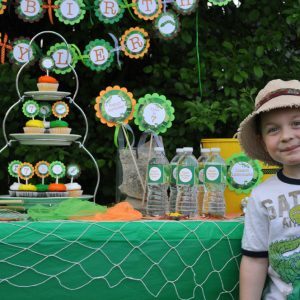 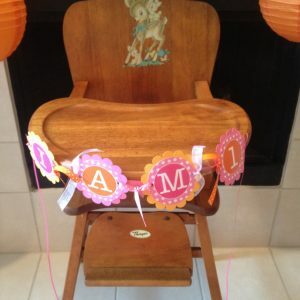 Personalize with your child’s name and age. 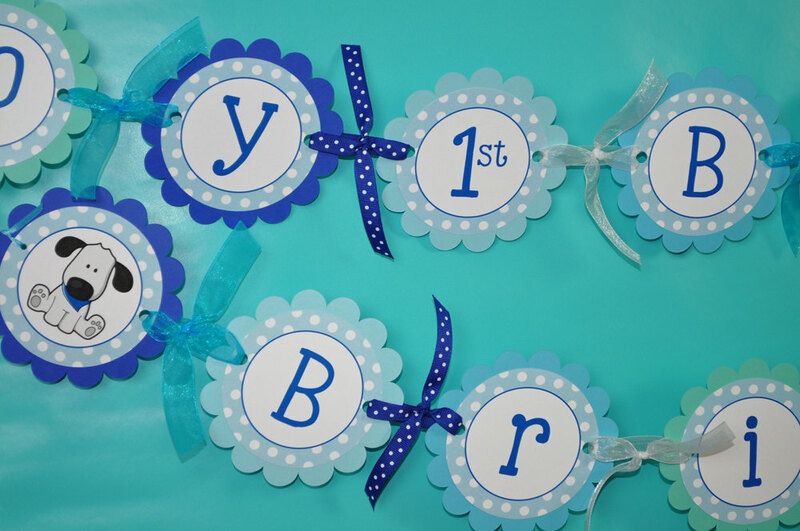 Can also be customized for a baby shower. Colors are dark blue, light blue and teal. 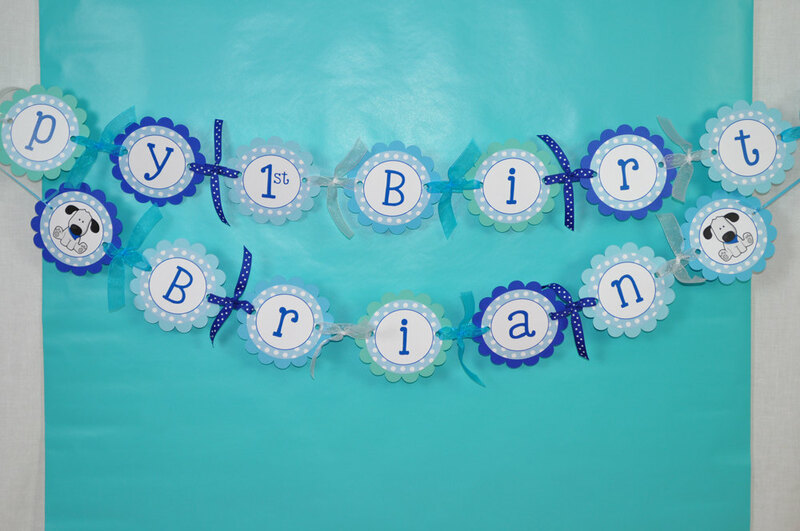 Each scallop is 4" and is strung together with coordinating ribbon. 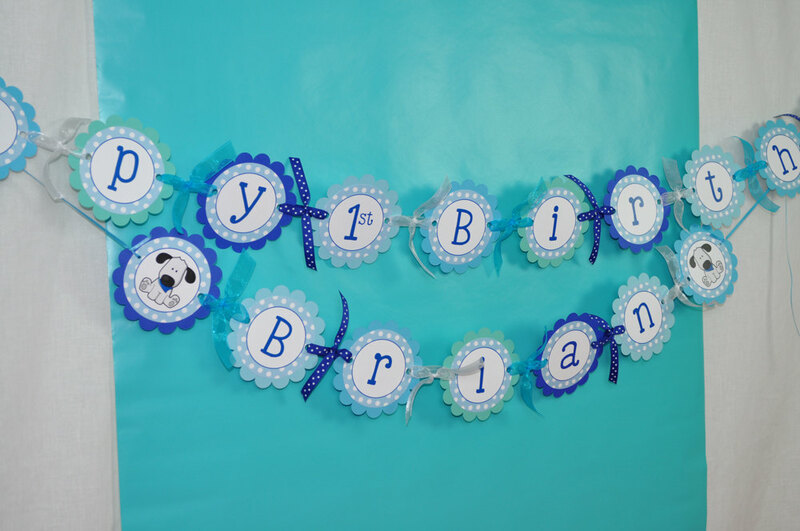 The banner measures approx 5-1/2 feet long.